The Belgaum city corporation has invited tenders for various development works in Belgaum under the special grant from the State government. 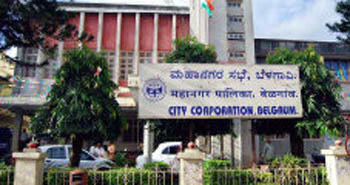 The works include roads, UGD, Central Lighting works etc in Belgaum city. The works include very many roads of the city mainly roads that were not touched up during the Assembly session and those covered here again are for other works such as dividers and street lights. See the complete Tender here. The time limit for all the works is 9 months. 02-03-2009 at 11.30 am or any other date will be intimated later. I request all to go to the link above of the tender and see what kind of development work is planned for your area. It is very happy to know about the development works being undertaken under the 100 crore grant. But it is very unfortunate to see the quality of work being done. The poor quality of road asphalting in RC Nagar is a clear sign of poor quality work being done by the concerned contractors/authorities. I feel that the citizens should not keep quiet and raise their voice against this. Such developmental works have been a means of good business for contractors, authorities and concerned elected representatives of the areas. It is time people should wake up when things are in progress before it is too late.